Background. In 1999 the Institute of Medicine (IOM) issued a report entitled Marijuana and Medicine (Joy, Watson and Benson, 1999). It recommended the development of cannabinoid drug delivery systems which might be effective for nausea, vomiting and AIDS wasting syndrome, among other chronic disorders. The report went on to recognize that patients should be allowed to smoke marijuana if they failed to achieve relief from approved symptoms that could be relieved by cannabinoid drugs with rapid onset. Recommended criteria of the report included: access to marijuana within 24 hours of submission by a physician, supervision that allows for assessment of treatment effectiveness, and an oversight strategy comparable to an institutional review board. 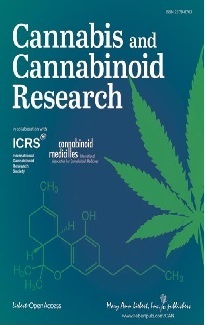 In this context a review of previously unpublished state-run clinical trials with Cannabis sativa (marijuana and/ or delta 9-tetrahydrocannabinol capsules) to test efficacy in reducing nausea and vomiting following cancer chemotherapy is warranted. The impetus for these studies came from individual state legislatures responding to constituents' claims that smoking marijuana reduced or blocked nausea and vomiting. Methods. Technical reports were obtained from 6 states which had conducted clinical trials. Each protocol was examined for the procedure used, the experimental design of the clinical trial and the results obtained. 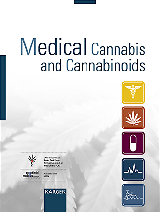 Data were available on 748 patients who smoked marijuana prior to and/or after cancer chemotherapy and 345 patients who used the oral THC capsule. Results. Patients who smoked marijuana experienced 70-100% relief from nausea and vomiting, while those who used the THC capsule experienced 76-88% relief. Conclusions. On the basis of these studies, it appears that smoked marijuana can be a very successful treatment for nausea and vomiting following cancer chemotherapy. The development of smokeless inhalation devices could certainly reduce the potential harm from smoking marijuana.